This summer has been a bit all over the place here in Ireland. Rain to start off with! No surprise there, and then into a scorching heat wave, and then greeted with tropical storms, we don't no weather to pack our RayBans or our brollies into that all in one handbag!! 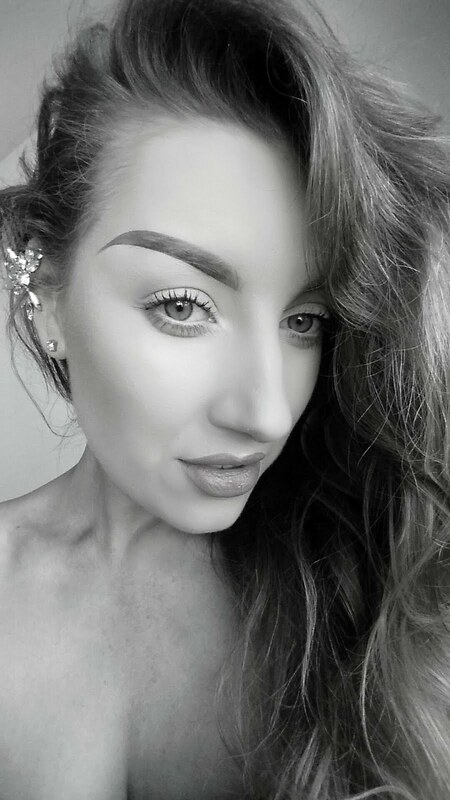 Well I've prepared my favourite makeup products for this summer to keep your complexion covered in the rain or dewy in those rays of sunshine!! This spring/summer I have started to use the Maybelline Fit Me Foundation in the shade 210. I am usually used to a full coverage finish from Revlon Colourstay Foundation but thought a lighter finish would be nicer for the warmer months. Being a medium coverage, this foundation can be worn quite sheer or build up to a medium-full coverage so can suit for any surprises Mother Nature has in store for us. I found the colour selection in this range to be very yellow. Even the pink shades are still on the yellow side of the scales. So if you are a yellow toned beauty or love your tan to be straight from a bottle, this should be perfect for you! However porcelain or very pink toned ladies might want to steer clear!! As I've opted for a lighter coverage foundation, I need a bit of concealer for those problematic areas such as under the eyes and around the nose. My choice of concealers is the MAC Studio Finish Concealer in NC20 (around 2 shades lighter than the 210 foundation from Maybeline). This concealer is of a fuller coverage so I apply it with a damp beauty blender to make it look more natural and blended. 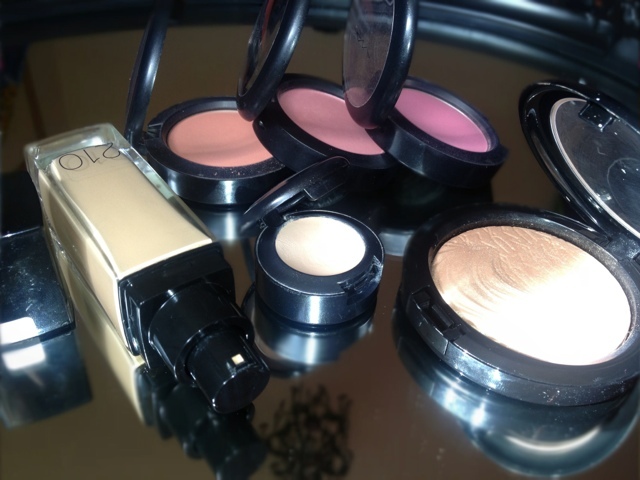 Blusher, I think, is a must have for these summer days. A little flush of colour on the cheeks just brings that little bit of brightness to your face, honestly, it makes a world of difference! I just couldn't choose one colour to stick to, so I have my three favourite shades that I've been addicted to the past couple of months. Peaches, a beautiful orange toned coral colour, Fleur Power, a soft pink with a hint of peach, and Pink Swoon, a soft candy pink, all from MAC. They will change your life.......well, your face!! One thing that is vital to give you the perfect glow is the highlighter!! Now before I go on, I must admit, I used to HATE highlighter on my face! The thoughts of it would send shivers down my spine! I would absolutely love it on other people and pile it on all of my clients but thought it looked like I was covered in sweat!! I am a changed woman! MAC Highlighter in Soft and Gentle is the most stunning soft, golden highlight that catches the light beautifully making your features stand out MILES!! 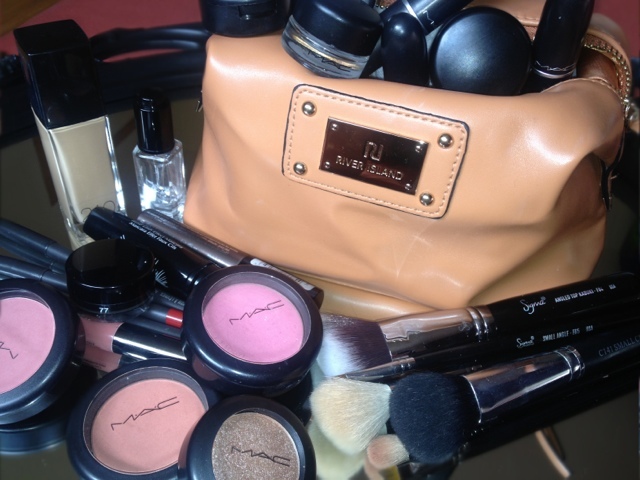 And finally, probably THE most important makeup item for the summer months is the Bronzer. To put over the foundation to warm up those cheeks, to put underneath the cheeks to contour beautiful shapes into the face or to wear with no makeup underneath just to give the face a bit of warmth when it's too hot to wear a full face of warpaint. 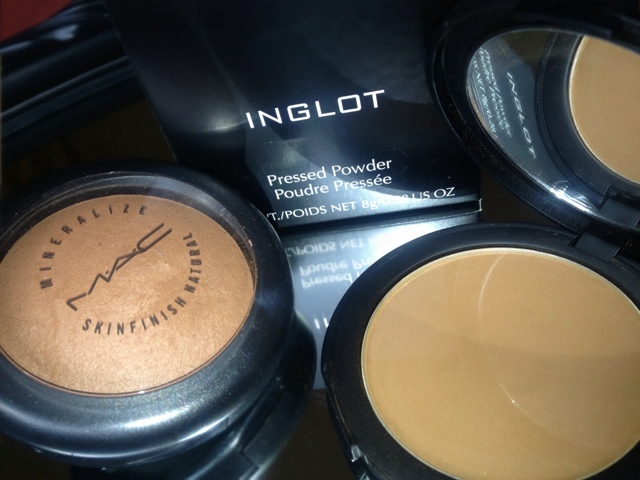 I love MAC Bronzing Powder in Deep Dark for when I want a small bit of a glow to the skin or INGLOTs Face Powder in the number 31 if I want a matte finish. Your face is now sorted for those unpredictable summer days, rain, sun or snow. Let me know if you have any questions.